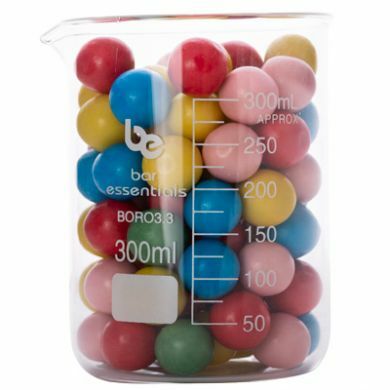 High quality 300ml low form beaker made from borosilicate glass, graduated with pouring spout. 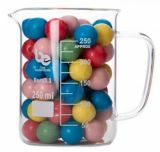 These beakers can be heated but please avoid flames touching the glass by using a fine wire gauze between the heat source and the glass. Diameter of top (rim outer): 78mm. Diameter of body (Outside Diameter): 74mm. 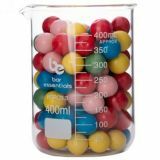 Numbered graduations: 50ml, 100ml, 150ml, 200ml, 250ml, 300ml. Non numbered graduations: 75ml, 125ml, 175ml, 225ml, 275ml.